It is commonly accepted that turkeys were domesticated in Mexico as early as 200 B.C. The skills of raising them was fully developed when Christopher Columbus reached the “New World” in 1492. Among the first European to describe the American turkey were the Admiral himself (1492-1500), Hernan Cortes (1519-1521), Bernan Diaz (1517-1519),and Friar Bernardino Sahagun (1569-1578). Also, Gonzales Fernando di Oviedo, Governor of Hispaniola, the first American island settled by Christopher Columbus, describes the American bird in his Summario de la Historia Natural de las Indias Occidentales published in Toledo, Spain, in 1525. Natives raised the bird and did not know European chickens. Turkeys were prepared by American Natives boiled, roasted, barbecued and in stews. Native cooked “pavo” was usually served with flat corn “tortillas.” Turkey meat was also prepared with “moles” which included chiles, pumpkin seeds, tomatoes, tomatillos and unsweetened chocolate. On the food market of the Aztec capital of Tenochtitlan, for example, were sold about 8,000 turkeys. They never failed to be included among the dishes served to Aztec leader Montezuma who considered the turkey a gift of the gods. In time after Christopher Columbus’s discovery of America Europeans also adopted the turkey in their cuisine; the bird became a source of meat for the wealthy who described it as being more flavorful and tender than the peacock. 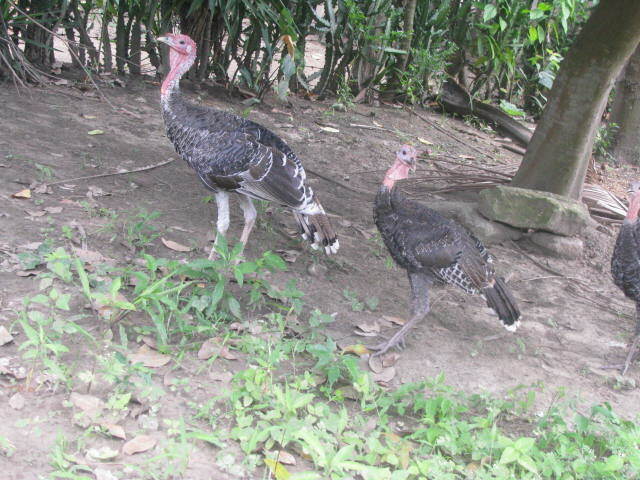 In Italy the turkey became also known as Meleagris gallo pavo or Gallo delle Indie. As the turkey became a familiar food in Italy it also became known as Polancha d’India, Gallo d’India, Dindo, Dindio and Pito. American turkey were reported being served at the table of Henry VIII in 1524 (ilpollaiodelre, p.5) and were described in the recipe collection of famous Northern Italian chef Bartolomeo Scappi (1567 – Opera dell’Arte del Cucinare).